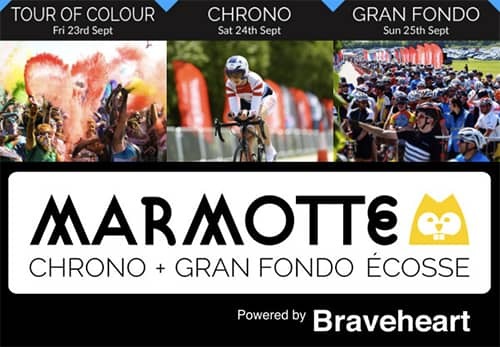 Marmotte Ecosse powered by Braveheart Colour Run, Chrono and Gran Fondo all on closed roads featuring spectacular scenery. 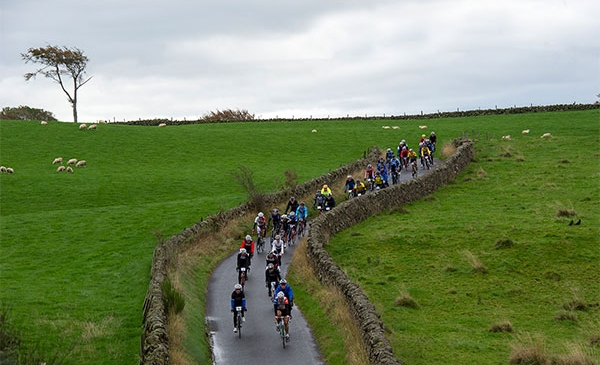 The team that bought you the Tour of Cambridgeshire are delighted to announce the opening of entries for a new cycling festival in Scotland in September. We are delighted to announce that the event has been awarded a highly prestigious Marmotte status. Event details and entries for the 2016 Marmotte Ecosse powered by the Braveheart Cycling Fund can be found at www.marmotteecosse.com. We are delighted to support Scottish Cycling by working with the Braveheart Cycling Fund which does so much to support young cycling talent. The event is open to all whether you are an elite athlete, a leisure rider with a charity fundraiser with a race at the front and leisure ride at the back.